I’m not sure whether it’s a good sign or not when the first thing that pops in my head while writing this post is “livin’ Laveta Terrace” set to Ricky Martin’s “Livin’ la vida Loca.” Let that sink in for a moment. I guess it’s all subjective, really. 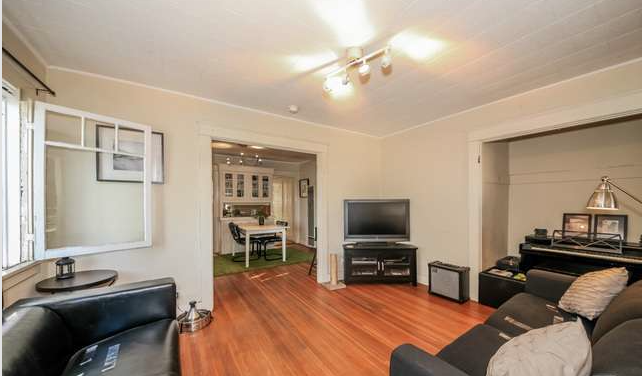 On the plus side, you don’t have to be loco to find this home–and its income properties–charming. 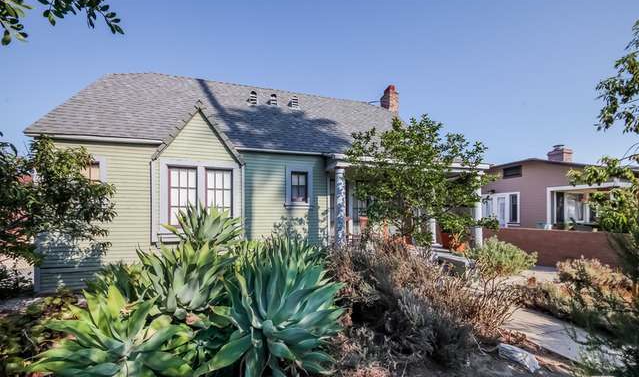 With drought tolerant plants upfront, this sufficiently maintained 2 bedroom, 1 bath Elysian Heights bungalow (why it’s listed as an A-frame is mind boggling), with a separate two unit 1bed, 1 bath duplex, comes to market at a respectable $760,000. 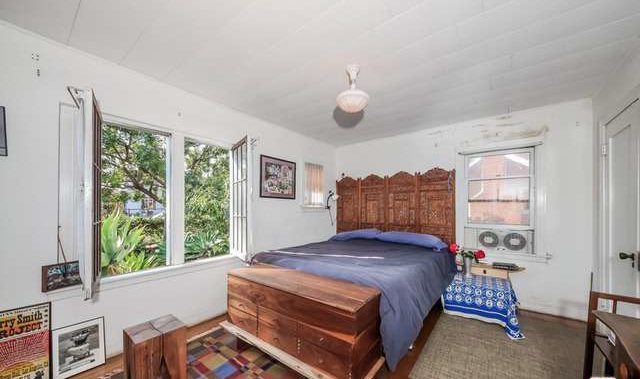 Being honest, this home is in good, but not mint condition, though you are working with something that offers plenty of upside potential. 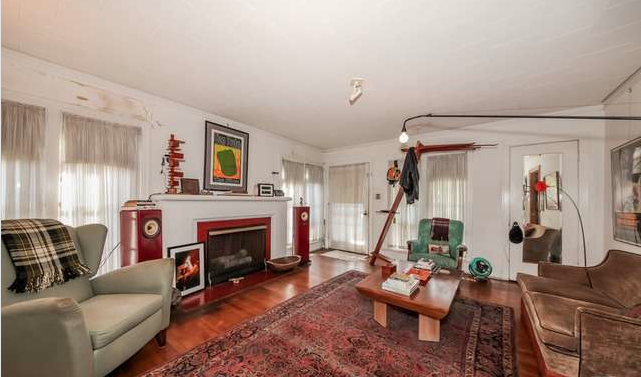 The living room is large, with hardwood floors, a sizable fireplace and plenty of windows. 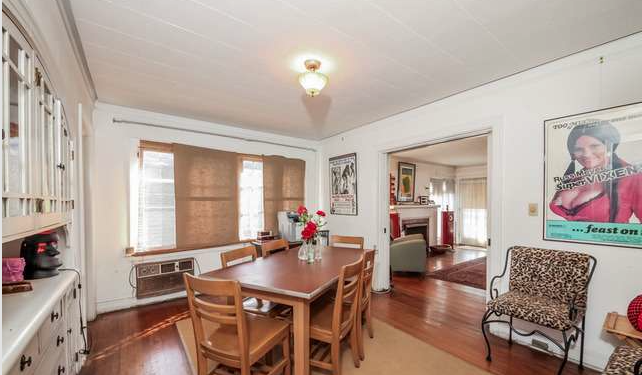 Additionally, the dining area is substantial with well-maintained original built-in cabinets. 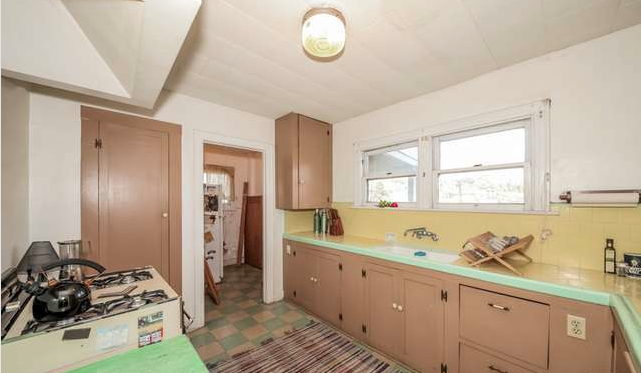 The kitchen definitely needs some updating but, on the bright side, you have the option of keeping much of the original charm around. 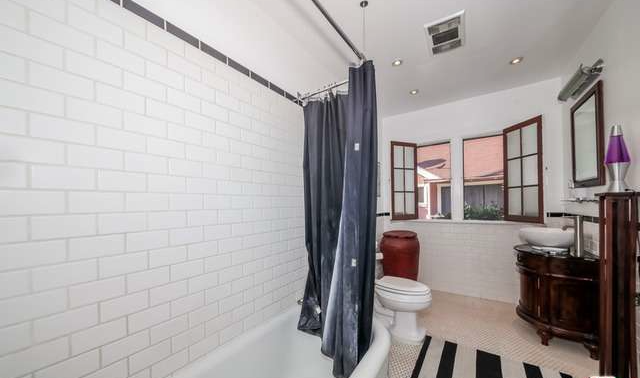 Subway tiles were a nice touch then, and still look good now. 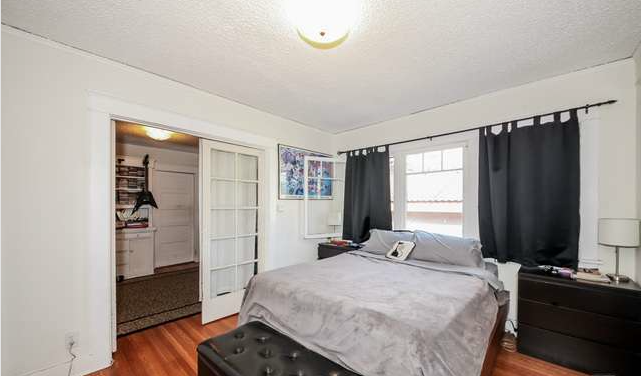 Both the master and second bedrooms are a healthy size, but again both need a little work. 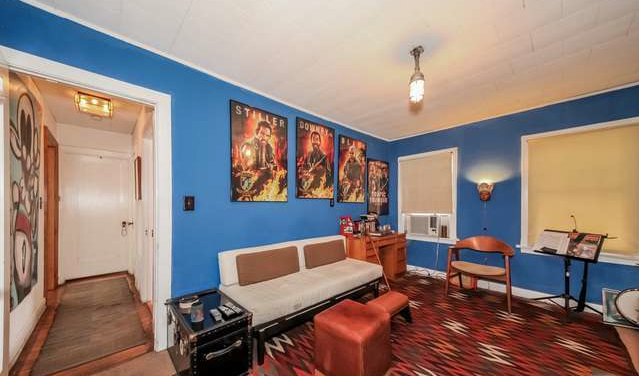 As unfortunate as it may be, the “Tropic Thunder” poster collection does not come with the unit, though I am sure there is room for negotiation. 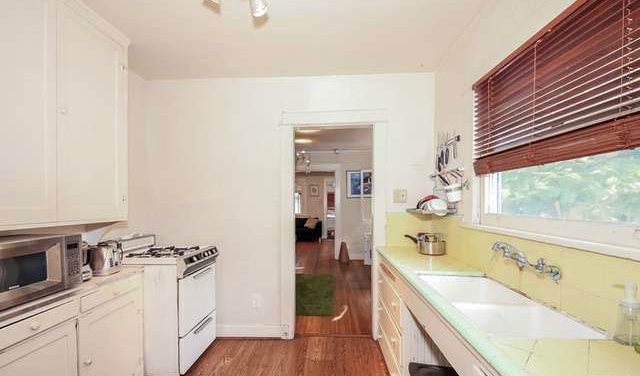 One room that needs little work done to it is the bathroom, with its white tiles all around and newer sink. The additional units have a similar aesthetic to the main home. While not perfect, there is a lot of potential here. Alexis Hall of Coldwell Banker Residential Brokerage has the listing.